One of four posts that will be based on my trip in England.I am starting with clothing, One thing i didn't take photos of was my new navy coat but it is shown on another post titled "Snow is falling down". Back to what i purchased, i honestly didn't want to go over board and just wanted to get things i needed rather then wanted as i did put alot of things down. 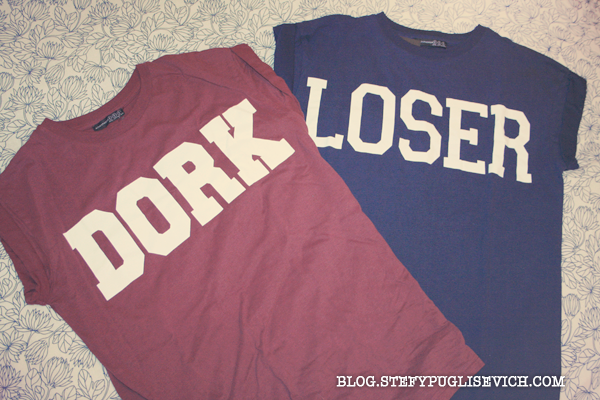 I managed to grab those amazing tee's LOSER & DORK, i really wanted to grab a GEEK Tee from topshop but didn't manage to do so but it doesn't matter. 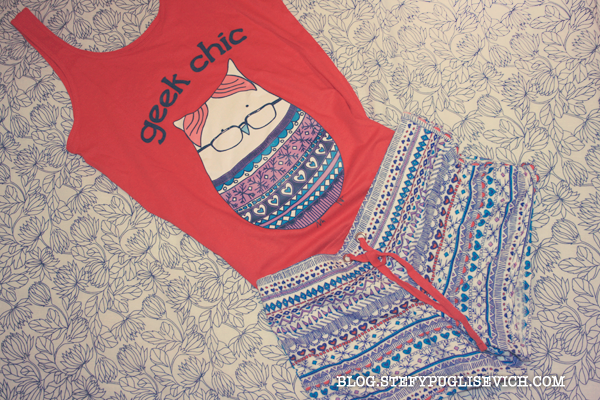 I bought cute PJ's for summer for just £5! I love blouses, so when i spotted these gorgeous shirts i couldn't resist, even grabbed myself a bralet that is gorgeous! DO YOU LOVE SHOPPING ABROAD? haha i know what you mean sam, i was on a budget and most of it was gone out of the window in seconds! !